Just like every other time a client album is ready for delivery, I found it very hard to part with this one! I wanted to keep it as a sample. Alas, it’s not mine to keep. 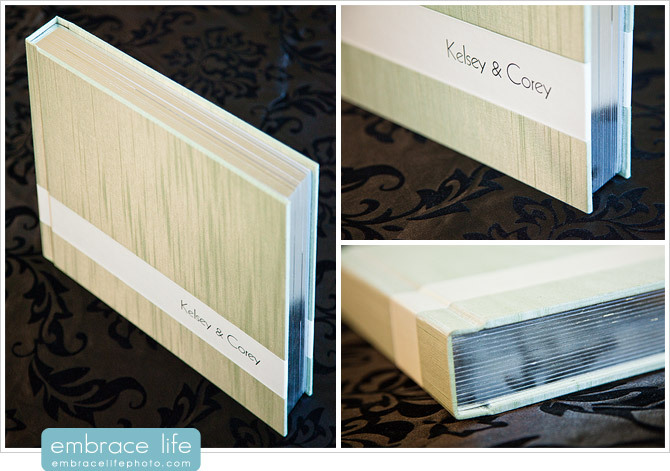 So, we’re showing you a video of Kelsey and Corey’s gorgeous Hand Crafted Elegant Album instead. This album was purchased for the bride, as a surprise gift, from her sister who lives out of state. How cool is that?? What a gift! The cover was a really nice combination of Endive Japanese Book Cloth and an Ivory leatherette with modern, silver lettering and page guilding. 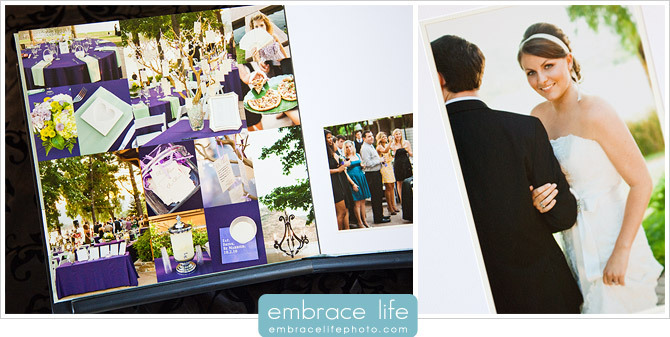 The mat pages were a subtle combination of white mat above an ivory liner, which gives the photographs a beautifully soft separation from the page. 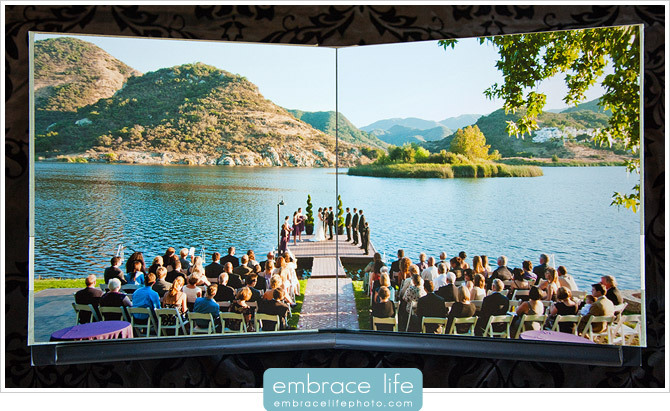 My wife and I were married at this exact same spot (how stunning is that view, by the way?) just about eight years ago! I will say it for the hundredth time: you are a genius! Your work is unmatched in capturing the event, the emotion and the heart. Unreal location… Thanks for passing your work along… I am inspired. This is a great spot and amazing photos! I’d love to know where this is at to check it out myself! Thank you! Your site is amazing. I loved the video for this album! Where was the location? Thank you, Chanel! It’s a private residence on Lake Sherwood.